The moment you decide to wear the shoes of a freelancer you need to bear in mind that you are a person with many hats. You have to manage heavy tasks and also keep track of those little annoying tasks that come your way all day long to eat away your time. Quitting a job and beginning your career as a freelancer is not as simple as you think and you have to work more than a designer, developer, editor, etc., to build your web presence and reach paying clients. You have to spend most of your time meeting client requirements and deadlines, work on multiple domains, cross various milestones like time management, dedication, communication and others. Freelancing is both fun and also painful at times. Here are some great tools that make you feel like the emperor of your own little business world. You just need to be a little inventive and look new ways to get things done in a faster and better. Love keeping track of your to-do lists? Then TeuxDeux is the right choice for you. This visually appealing and highly usable minimal calendar based to-do app makes your work faster and responsive. 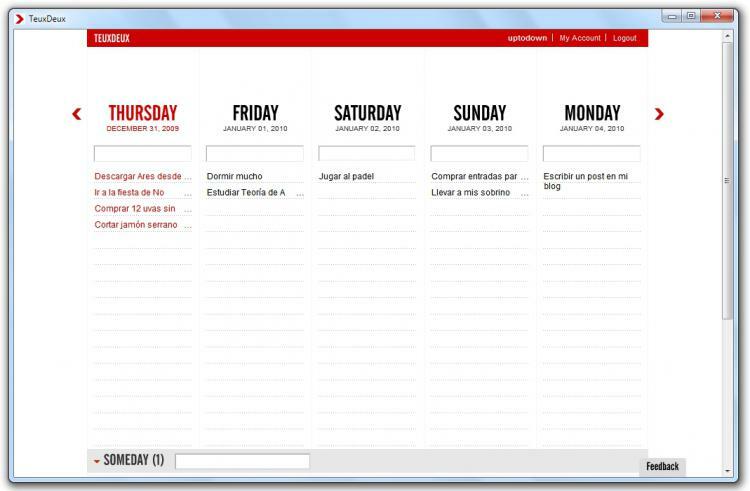 You can set your schedule and organize your schedule in a more suitable manner. If you have any tasks left unfinished they will be rolled over to the next day’s to-dos automatically. If you have forgot watering your plants then the recurring to-do add on makes sure you never forget. Markdown supports extra formatting and the custom lists allow you to create column for specific projects. There is also an option for downloading your to-dos anytime you wish to. If you are an iPhone user, then you have got a lovely app on your mobile. However this browser based app works beautifully on mobile app as it does on desktop featuring a crisp and clean interface design. Toggl is an easy and intuitive tool to track time while completing your projects and can be assigned as billable to clients after upgrading. You need toggle account to use the app and can immediately begin tracking time spent on each project. Enter Toggl’s work mode and record your time spent on each project by clicking ‘Start’ when you begin and ‘Stop’ when you finish your project. You don’t lose any revenue if you forget to click and tag every time entry to not lose track. A complete three stage hierarchy like client, project and task enables ultimate organization of your projects. It notifies you when you are offline and automatically sync all your time entries back to the cloud once you have gained internet connection. Sync is reliable and its operations have been optimized to work seamlessly with all platforms and your data is safely present anywhere. Its fully integrated interface makes it go live on desktop like any other app. Keyboard shortcuts are available too for keyboard junkies and you can have quick handy reviews of your daily tasks. Toggl is probably one of the simplest and easiest timesheet applications you could possibly use on the web. Aweber is a great marketing software tool that helps in building profitable customer relationships with your clients. Enhance your online business with its tools like professional email signup form and autoresponder services. This tool has got many features that build your email list and help you stay in touch with prospects. It offers an unlimited subscriber package which lets you collect, manage and segment your subscribers more effectively. 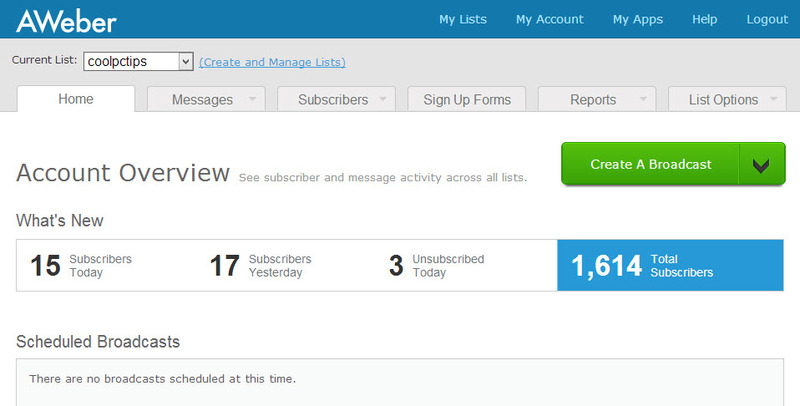 You can check out the stats, and track other subscriber activities with ease. You can easily create subscriber segments and thus deliver targeted emails to a relevant group and other custom information. Aweber allows you to choose your own HTML template from a good number of templates that match your branding of business and is compatible with all major email services. Attract new subscribers by automatically delivering a series of emails with autoresponders. You also have an option to create; schedule and send opt- in email marketing newsletters in minutes. Experience real time customer support and get to know the latest marketing concerns and ideas with free, live webinars and other marketing niche tips. Aweber is also associated with other third party software like Yahoo, Paypal, NexTag, WishList, MemberGate etc. What makes CurdBee nicer is that it makes billing breezy and is a simple web application that provides unlimited invoices and clients for a reasonably priced monthly subscription. It has a great user interface that lets you send unlimited number of invoices and estimates, track time, expenses and accept online payments. 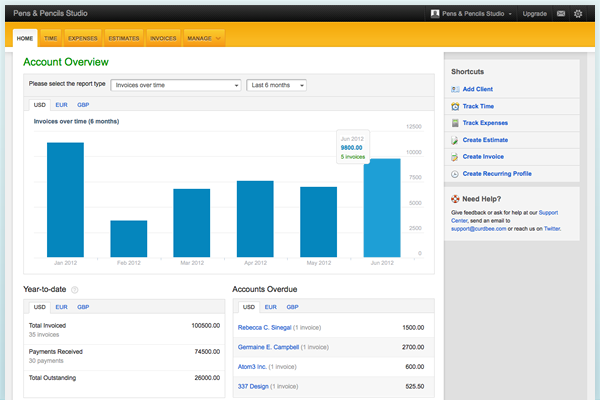 Forget recurring billing and let CurdBee send out invoices daily, monthly or yearly. 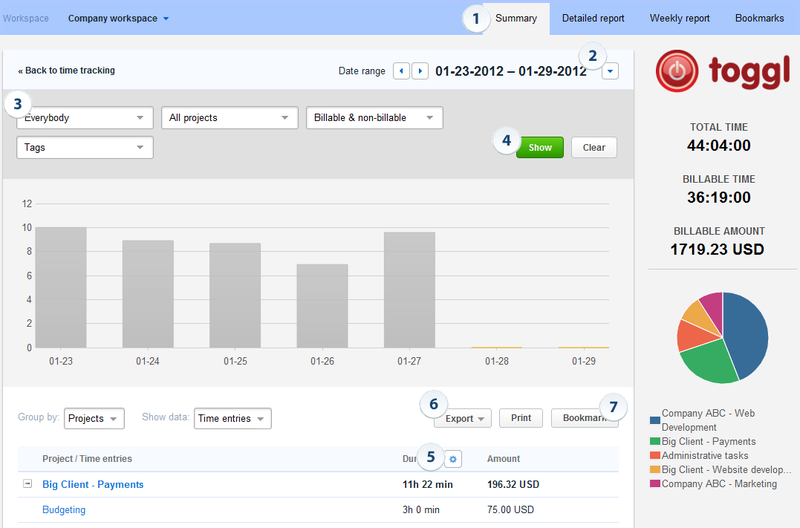 Track your hours, tasks and projects using a simple web based interface and generate a graph report on your daily spent. Being a freelancer limit the amount of time you have for overhead activities and your favorite CurdBee does the same. It impresses your customers with better quality invoicing and also you that lead to faster payments by the clients. Full-fledged writers can bring credibility by publishing your works by converting textual manuscript to a regular book. You can publish your book in any format with high quality paperback or hardcover. Print only what is necessary and the volume discount starts at a minimum of 15 pages. Make your work look professional by using their online services like formatting, editing, cover designing, marketing and publicity. It offers templates, help you in the production sequence and once in digital form you can get your book out into the outside world. If you have your own sophisticated design skills you can send Lulu a PDF file of your designed book and simply have them print it at same prices. Lulu makes the process of book printing and publishing easier and is simply hassle free to work with. If you are a freelancer it would be a pleasure for us to hear what more interesting tools you use to manage your self- business. Do let us know.